Hobo spiders originated from Europe and derive their name from the method that they use to travel to new places. They are an aggressive species of house spiders. These spiders are common in Idaho and throughout the Northwestern part of the U.S., and their reach is spreading. If you see one of these spiders in your home, you may want to schedule an inspection with Pest Control Services Inc. so that we can help you to rid your home of these spiders and to take preventative measures to keep them from coming back. Hobo spiders are brown and are between 11 and 14 millimeters long. Male spiders have an appendage that is swollen, and females have slightly larger abdomens. They have oblong abdomens with posterior spinnerets that you can see from above. These spiders have a dark band down their midline, and they are sometimes confused with brown recluse spiders. Hobo spiders will bite if they feel threatened. People who are bitten by the spiders may develop pain and redness. Some people believe that they cause necrotic lesions, but experts do not believe that they do. Instead, experts believe that brown recluse spiders are the likely culprits when people develop those types of lesions. Hobo spiders build webs that are in a funnel shape with openings at both ends. One end will expand outward into a slightly curved sheet. Male spiders wander in a hunt for mates from June to October. Because of their wandering habits, male spiders are likelier to come into contact with humans and to bite. If you see these spiders and the funnel-shaped webs, you may have a hobo spider infestation. To keep hobo spiders out of your home, seal all of the exterior cracks on your home. You should also make certain that all of your doors and windows have screens. Keep clutter picked up from the floor so that they don't have places to hide. Be careful when you are moving boxes as they may scurry out. Try to keep your basement and garage as clutter-free as possible. It is also important to try to keep these areas dry. If you have trees on your lawn or on your property that appear to be diseased, tree spraying may be a good option for helping them to survive and become healthy again. Fruit trees may be especially prone to diseases and infestations. In order to save them, it is important that you understand what type of sprays to choose. Evergreen trees may be susceptible to several types of fungus, and crabapple trees may develop tree scab. The only way to choose the right sprays is to correctly identify the disease, infection or infestation that is occurring to your trees. Getting help from the experts at Pest Control Services Inc. can help you to restore your trees' health and save them. Tree spraying involves spraying your trees to protect them from diseases and insects. The particular chemicals that are used and their timing depend on the diseases and insects that have been identified and the correct timing for spraying. Because different botanical diseases and pests have specific life cycles, the timing of spraying is very important in order to do so during the right windows of opportunity. Some diseases or pests will require a series of sprays in order to control and eliminate them. How Is Tree Spraying Used? Tree spraying is used to save the life of your trees when they are already experiencing identified fungal infections, diseases or insect infestations. Our pest control experts will inspect your trees to identify the types of diseases or insect infestations that your trees are experiencing. The experts will then spray them using the correct formulations to provide immediate relief. Spraying your trees may be a good way to treat diseases and infestations that have been identified. The type of spray and its timing is important, and the benefits of spraying must outweigh the potential harm of spraying the chemicals. When the right sprays are used, then they may help to save your trees by offering them immediate relief from the diseases or infestations that are ailing them. If you have trees on your property that appear to have diseases or to be infested with insects, it is important for you to get professional help. The experts at Pest Control Services Inc. can help to identify the disease, fungal infection or insect infestation that is causing problems to your trees. They will then select the chemicals that are most likely to offer your tree benefits. 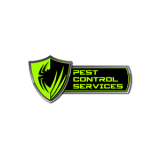 Call the experts at Pest Control Services Inc. if you need help with protecting your home and property from pests. As the summer months approach, backyard barbecues and stunning landscapes beckon. However, an unkempt, dried-out and weedy lawn won't win you any style points with your neighbors. If you want your lawn to be the envy of the neighborhood, you'll need to follow a strategy to help your grass look its best. Watering your lawn properly requires more thought than just turning on your sprinklers. Most lawns need about an inch of water each week to stay hydrated. You can use a rain gauge to monitor how much you've watered your lawn. If you notice that the grass blades in your lawn are beginning to curl or wilt, you probably need to increase the watering frequency. Watering your lawn in the mornings or evenings will help you avoid wasting water to evaporation. If you have automatic sprinklers, it's easy to set a consistent watering schedule. If you need to manually water your lawn with portable sprinklers, use a timer so that you don't forget about your sprinklers and overwater your lawn. Adhering to a few basic mowing techniques can help your grass stay healthy and green all summer. Before your first mowing session of the year, make sure your lawn mower is in excellent condition by sharpening the blades. Once you're ready to start mowing, don't try to mow your yard down to your desired height all at once; mowing more than the top third of the grass can weaken the roots. Be sure to schedule your watering so that you won't be tempted to try to mow your lawn while the ground is wet. Wet grass tends to clump together and may be uneven after you cut it. Cutting your lawn while the ground is too dry, such as in the middle of a hot summer day, can cause too much stress to your lawn. Weeds are a problem that every homeowner who cares about having a pristine lawn never seems to fully eliminate. When yards are not taken care of in the proper way, weeds will begin to appear and quickly overtake a beautiful lawn. Unfortunately, the consequences of failing to keep a lawn in good shape can be more severe than many homeowners realize. Some cities have enacted ordinances that fine homeowners who fail to maintain a specified concentration of grass on their land. Moreover, the cost of replacing a ruined lawn with new grass can be expensive since existing grass has to be ripped up, additional nutrients have to be brought in, and new sod can be costly. Weeds often appear on their own in unusual places, so people often wonder how these weeds got there in the first place. Unlike with other plants that drop seeds near themselves, the seeds that create weeds often travel great distances before arriving at their final resting point. Seeds for common weeds, such as dandelions, chickweeds, and thistle, can move significant distances through flowing water and gusts of wind. Blades of grass can trap seeds flowing through the air, and this can result in weeds forming once these seeds touch the soil. Some homeowners live with the mistaken belief that they will not have to face any consequences if they ignore weeds forming on their lawn. It is important to remember that the land surrounding a home was originally populated with trees, ferns, and fields full of weeds. When grass is not protected from nature, weeds will gradually overtake all of the grass until they completely saturate a lawn. Even if a property is large, homeowners should be sure to take at least some simple measures, such as using fertilizer and killing off the largest weeds, to prevent weeds from taking over their lawn. If a large lawn has to be replanted, the cost of such a project can be astronomical. One of the most effective ways to eliminate weeds is to make use of fertilizer on a regular basis. Many fertilizer manufacturers recommend using their products at least two times per year, and this can be sufficient in most cases. When there are large weeds present, weed-killing pesticides can be applied manually to an individual weed to remove it. Pesticides can be necessary when weeds with large leaves begin to crowd out grass and cause significant damage to a lawn. Pest Control Services helps homeowners in southeastern Idaho eliminate pests that threaten to destroy a beautiful lawn. Get in touch with Pest Control Services to start taking control of your weed problems today. A vigorous green lawn increases the curb appeal, value, and livability of your home. In addition to sufficient water and correct mowing techniques, the right fertilizer is an essential part of proper lawn care. It will help create a lush carpet of grass that is resistant to weeds and pests. There are several factors that you should consider when selecting a fertilizer for your lawn. The three major nutrients in fertilizers are nitrogen, phosphorus, and potassium. The percentage of each fertilizer by weight is listed on the front of the container as a row of three numbers separated by dashes. Listed first, nitrogen is considered the most important of the three ingredients. It is recommended that you apply 1 pound of nitrogen per 1,000 square feet of lawn. The higher the first number, the less fertilizer you will need to apply. Although the nutrient is essential, too much can also cause a variety of problems. The second number listed is the concentration of phosphorus, and the third number identifies the ratio of potassium contained in the product. Fertilizers may contain fast- or controlled-release formulas. Typically recommended for most applications, time-released particles feed your lawn for an extended period and promote a uniform appearance. They are usually more expensive. Fast-release nutrients provide a swift boost so that your lawn will become green quicker. Applying too much can burn your lawn. Freshly seeded lawns usually require fertilizers that are high in phosphorus. Fertilizers are designed for application for specific seasons. In addition to the time of year and lifecycle, the most appropriate fertilizer for your lawn depends on the type of grass and the condition of the soil. The fertilizer formula may include a broadleaf weed killer or herbicide, which also determines when they should be applied and in what quantity. A professional lawn care team will identify your needs and apply the right formula at the correct time for the best results. Despite your hard work, pests can still damage the appearance of your landscaping virtually overnight. It is important that infestations be eradicated as early as possible. While there are several consumer-grade pest control products available, many of these agents are not effective because they use a generic approach. The best way to eradicate pests is to entrust the work to a professional who utilizes a focused strategy based upon the pests actually present. This minimizes the risk of applying too much or too little pesticide. It is also essential to know when to apply these agents. Our team of professional exterminators has the expertise to identify the pests infesting your lawn and implement an effective solution. Contact us if you would like additional information or a complimentary no-obligation estimate.